20 Best Responsive WordPress blog & magazine themes. 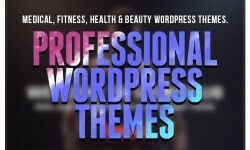 Modern Business WordPress Themes which have many powerful features to allow you build websites very easy and unlimited your creative to make impressed websites. New WP themes follow new trends of 2016 and perfect for freelancers, agencies and corporations that want to grow their businesses. Our product has a modern design and is very flexible allowing you to customize it to your needs. Responsive layout, Mega Menu, Page Builder, advanced List and Grid products view, convenient Product Quick view and product gallery image in lightbox, Bootstrap 3, FontAwesome, and many other features that will help to further enhance your site. Amory: Modern WordPress theme focussed on design that highlights your content. Ideal for Fashion, Creative & Photography websites, incl 6 months support. Naomi is a beautiful and fully responsive WordPress theme built with Bootstrap 3 and designed for magazine and news website. Pipit is an elegant, clean, modern and responsive WordPress blog theme. Amaze your visitors with Pipit’s great out of the box features like full screen image, video and slider hero, slick featured posts slider, unique layouts, full width media feed and so on. Raita is simple, clean, minimal and easy to customize WordPress theme for Writers. It’s builded with most popular HTML-CSS Framework Bootstrap. It comes with nice typography by default and also you can use custom typography too. Very suitable for writers and everyone who like writing or blogging. Crafted to ENCHANT, the theme’s been well-thought to impress your readers with its clear & crisp, responsive design. This theme is carefully crafted with easy customization for bloggers in mind, impress your audience with smartly clean, and stately aesthetic modern blog look. You can showcase your content in an effortlessly timeless style with this theme. A clean and professional WordPress timeline theme – DW Timeline Pro. Featuring the clean timeline layout from Facebook, DW Timeline Pro is just a perfect WordPress theme for blog and portfolio. The-One is a WordPress theme that lets you write articles and blog posts with ease. We offer great support and friendly help! Marlene is a modern WordPress theme that lets you write articles and blog posts with ease. It uses SEO best practices and it is microdata optimized (Schema v.2.0). Fast, easy to use, well designed and perfect for magazines or personal blogs. I like to suggest one more theme which is Ybrant. It is the simplest theme to set as per your choice and designed with a fully responsive layout. It is excellent for magazine, news, and newspaper related website.